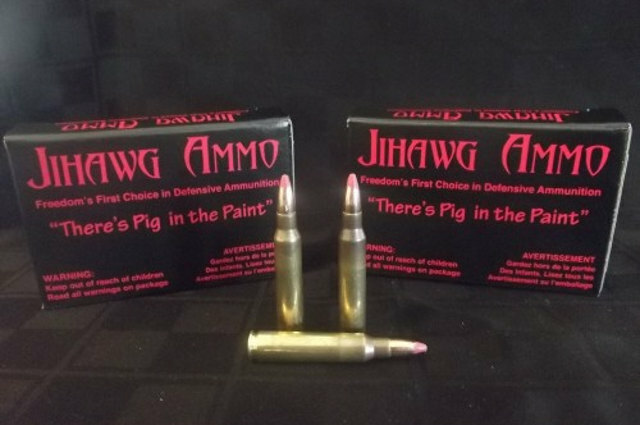 Jihawg Ammo: Pork Laced Bullets To "Deter Terrorists" | OhGizmo! Sometimes, reality really is stranger than fiction. And the product above, sadly, exists. It’s called Jihawg Ammo, and they’re bullets somehow coated with pork byproducts. Coming from some fine folk in Idaho, the idea is that radical Muslims will be so afraid to be shot by this “Haraam (unclean)” bullet and thus miss their ticket to Heaven, that they won’t even attempt any of their nefarious activities. Right. Our Porcine Coating (Pattern Pending) is infused with the highest quality pork product made right here in America. Jihawg Ammo is produced in the great state of Idaho. Shannon Dunn, assistant professor of religious studies at Gonzaga University, said [the] concept is based on an inaccurate understanding of the Quran. Silver Bullets dont work on Vampires. They only work on Werewolves. And then, only on Beta Werewolves. Alpha’s are immune. LOVE IT. Always thought the military should outfit all those in the middle east & the Afghanistan area with “pig blood” laced bullets.